Is you child being bullied emotionally at school? A worried mom says her child is being excluded and rejected at school. Should a parent interfere? People tend to think bullying is physical. 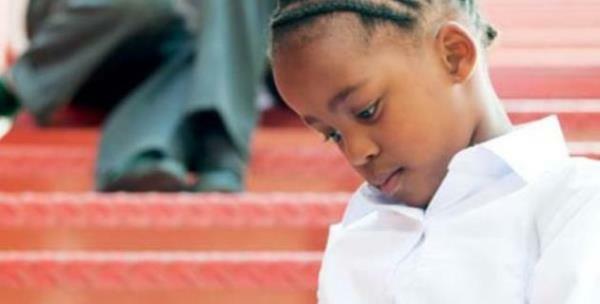 But isolating someone by not playing with her or telling friends to ignore her is one of the cruellest ways of bullying, says Anel Annandale, an educational psychologist in Cape Town. It’s one of the most common types of bullying among teenage girls. Among boys, bullying is likely to take the form of pushing the victim around or hitting him. But things aren’t as grim as the 11-yearold girl’s mom feels. The fact the girl had the freedom to tell her mom about her problems is already a step in the right direction, says Claire O’Mahoney of the Sandton Psychology Centre in Johannesburg. Also, this is part of the stage of life when children sometimes feel left out. Build her self-image. “Continue to support her emotionally. It’s important for her to build up enough self-confidence to stay away from such ‘friends’ and mix with children who welcome her,” O’Mahoney says. Help her to create other support networks. “It’s important that other people in her life support her to counteract the rejection,” Annandale says. They could be relatives or family friends’ children of her age. Teach her how to confront the nasty kids. “She must be able to tell these girls what they’re doing is mean,” Annandale says. Help her to understand her circumstances aren’t unique; she might come across such people again later in life, O’Mahoney says. The most important thing is not to try to force the other girls to change their behaviour but that she should decide how to handle the situation. Involve the school. “It’s difficult for parents to know when to take action but it’s important for the school to know about bullying so they can monitor it,” O’Mahoney says. You don’t have to tell someone at school yourself; you can encourage your child to discuss it with a teacher or the school psychologist. They might be able to help with a strategy that will solve the problem. If this doesn’t help, approach your child’s class teacher or the headmaster. “Children must be made aware of their duty to stop such cruel behaviour. If the other children notice such behaviour they must make an effort to include her and tell the other girls their behaviour is wrong,” Annandale says.